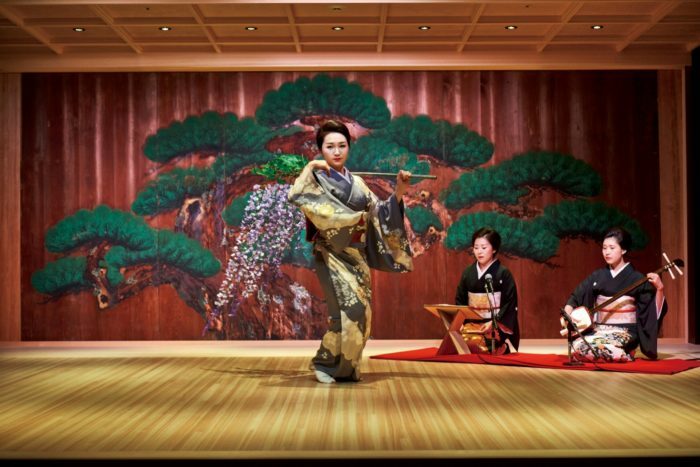 October 22, 2018 — Guests can catch a glimpse of ancient Japan by booking Mandarin Oriental, Tokyo’s Traditional Japanese Performing Arts & Sushi offer. This provides guests with an opportunity to explore the hotel’s historic Nihonbashi neighbourhood and visit the newly opened Suigian theatre restaurant nearby, where they will be transported back in time. The Nihonbashi district is home to many centuries-old seaweed, fan and lacquer ware shops, Shinto shrines, the Nihonbashi ‘Bridge of Japan’ and Japan’s most prestigious department store, Nihombashi Mitsukoshi MainStore. Historically, travellers would mark their arrival in the capital by passing over the famed Nihonbashi bridge, also known as ‘kilometre zero’ and a popular Tokyo monument. The Concierge team’s popular walking guide map will ensure all highlights are easily navigated. The Traditional Japanese Performing Arts and Sushi package is subject to 15% service charge, 8% consumption tax and accommodation tax of JPY 200 per person. For further information and reservations, please visit https://www.mandarinoriental.com/tokyo.